If the energy from wind turbines hadn’t been here, the chief executive of Apple today said his company would not have chosen Iowa as the site for two new data centers. 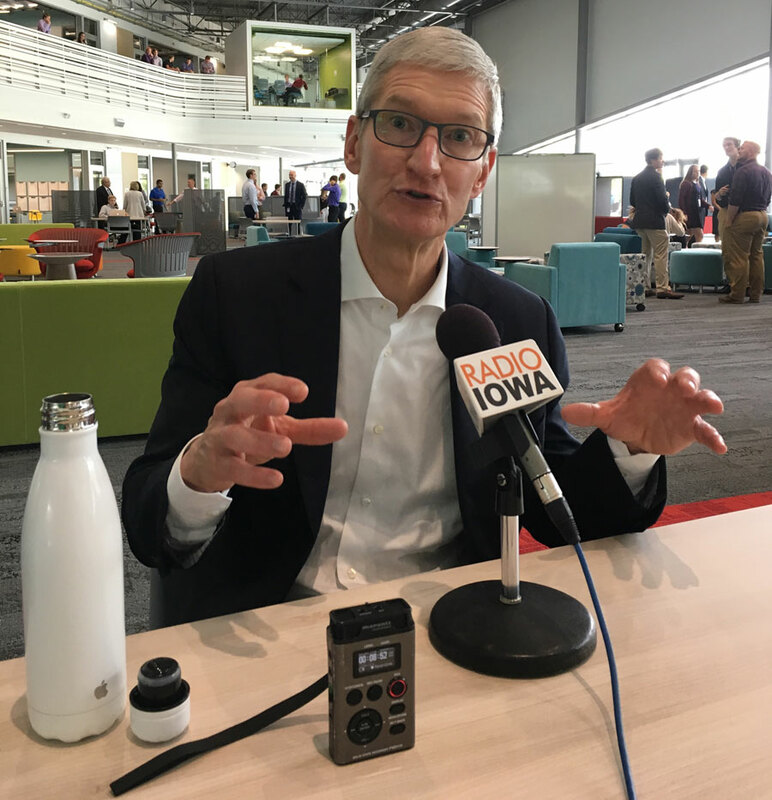 During an interview with Radio Iowa this afternoon, Apple CEO Tim Cook called renewable energy “paramount” to the decision. 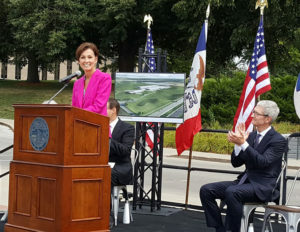 Officials with the State of Iowa and the City of Waukee voted to provide more than $200 million dollars worth of tax breaks and other incentives to Apple for the project. Apple will spend nearly $1.4 billion on construction and, once completed, about 50 full-timers will work at the data centers. Critics are already questioning the return on state and local governments’ investment. Governor Kim Reynolds and Apple CEO Tim Cook. Cook pledged Apple will contribute up to $100 million toward public improvements in Waukee, including construction of a new sports complex. Today was not Cook’s first visit to Iowa. Cook spent a week in Iowa in the late ’80s or early ’90s, riding his bicycle along the RAGBRAI route. Cook was surprised when the governor told him the ride continues to be an annual event and Cook spoke fondly of cycling through small towns in Iowa. Many of the residents in Iowa’s small towns and rural areas cannot connect to the internet with their Apple devices, however. Cook, who grew up in a community of about 3000 residents, pounded his index finger into the table as he spoke about that lack of connectivity. Cook indicated Apple’s “current role” in technology deserts is to provide iPads and other devices to more than 100 “underserved schools” around the country. Cook visited an education center in Waukee earlier this afternoon where high schoolers are working on high-tech projects, developing apps and even providing IT services to local companies.